Somewhere inside the Judgment Gate, the minstrel learns the sad truth about the lady of the lake. Happiness can defy their fate for a time... but in the end, it will only turn to sadness again. 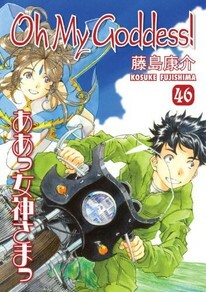 So Keiichi and Belldandy are told by the power above them - but a couple who've prevailed on Earth and in Hell aren't about to give up their love... even against Heaven!